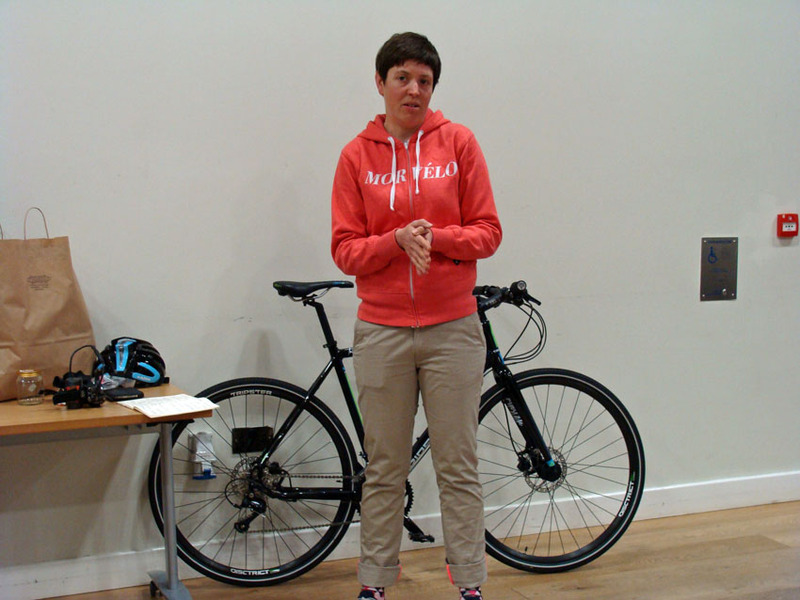 On Monday 20th April, we had an informal but interesting talk about cycling with local cross-cycling enthusiast and professional racer, Emma Osenton. 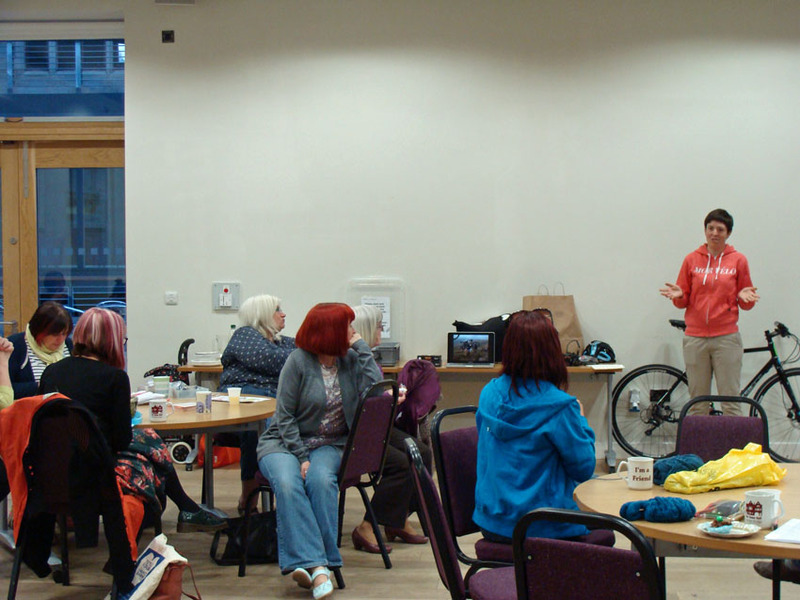 Emma told us about her own background and a bit about cycling generally and then opened it up for questions. 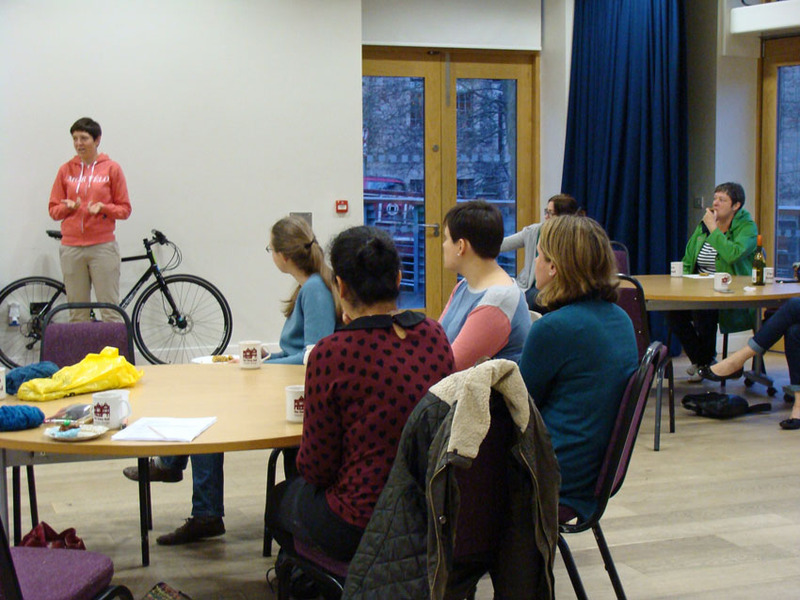 We often have quite structured talks, so it was refreshing to have a more audience-led discussion and we ranged from how cycling works in Amsterdam to the problems with cycling safety in Calderdale. We even discussed the history of women cycling and how it was considered quite scandalous at first because it gave women freedom. Women were sternly warned that cycling might affect their fertility, their moral character, and even their looks. Fortunately they didn’t listen! Emma also brought along a selection of cycling clothing from a local bike shop. 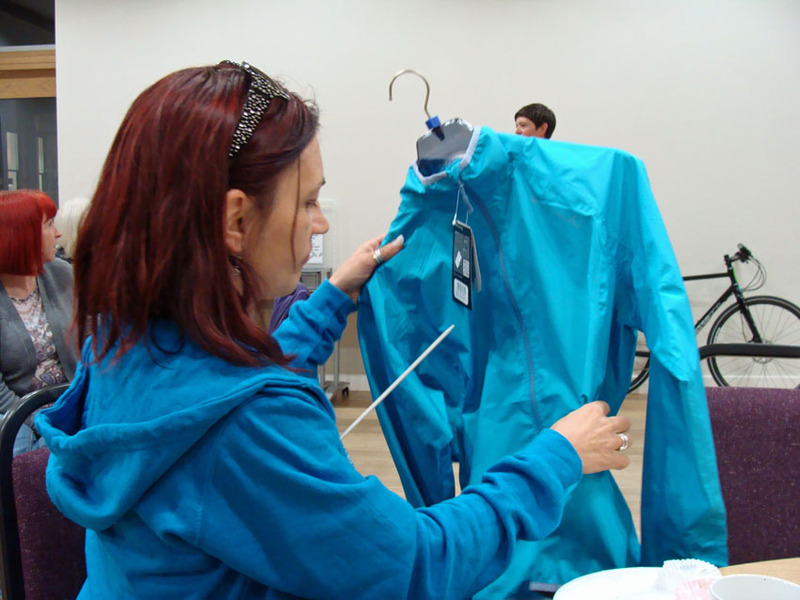 We were amazed at how lightweight this high-tech clothing was. 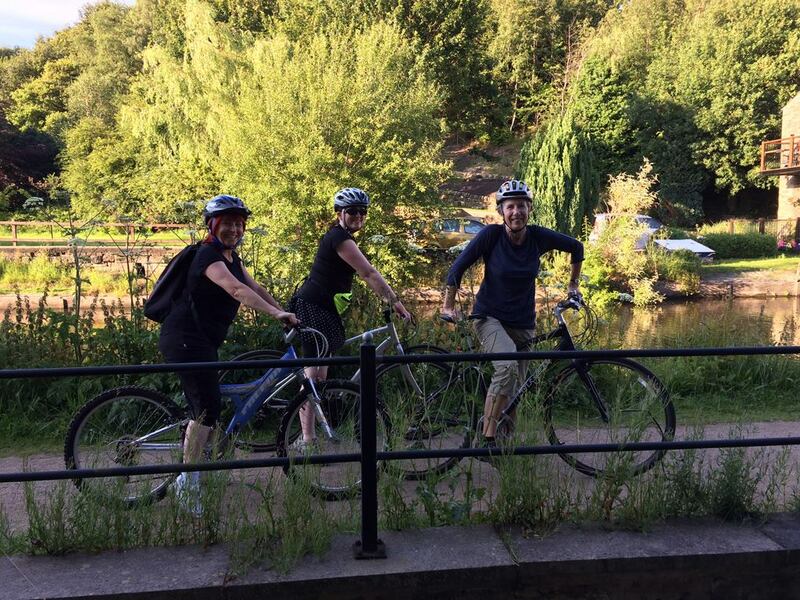 Emma’s talk inspired several of our members to start a cycling sub-group – they’ve already been out on one bike ride and are planning more. Our sub-groups are very much led by our members: any member can start a sub-group if there’s enough interest to sustain it. Our book group is the longest running and most popular sub-group but we also have others, including a walking group and the cinema and art groups who go on regular trips. In the past we’ve also had badminton and ukulele sub-groups. Unlike many other WI’s, we don’t have any crafting sub-groups because Hebden is already well served in that department and most of us go along to the regular crafting groups at Ribbon Circus or Nelson’s Wine Bar… but if anyone wanted to start one, they certainly could.